teamRIPPED - P90X, Body Beast, MAX 30 | Get Ripped. Get Results. The home of extreme, weight loss results! Are you ready? Stream every Beachbody Workout for the whole year! Become a member of teamRIPPED and let me coach you to real results. Joining teamRIPPED is 100% FREE and I never charge for my help. Are you ready? Team Beachbody and teamRIPPED have the best programs, equipment, and supplements. From P90X to Body Beast to Shakeology. Start your journey here. Looking for a new challenge? I have some of the best Beachbody Hybrid workout schedules around. Get the best lifting, hardest cardio, and a perfect amount of recovery. Nothing fires me up more than seeing amazing results. 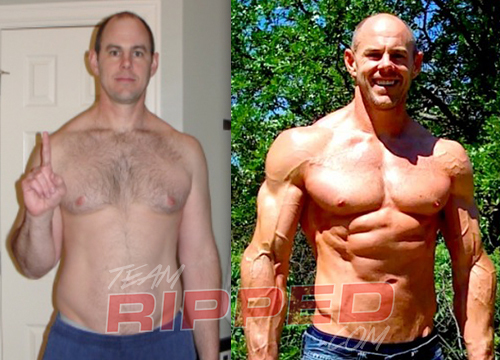 These members of teamRIPPED have been there and done it! See what you can do with me and teamRIPPED. Welcome to the teamRIPPED Nation!! If you are looking for XTREME, Maximum, Infomercial-style results, you’ve found the crew to help you get it done! And no, that’s not just a slogan. No team in all of Team Beachbody has produced more Beachbody Challenge winners with amazing results! Fighting Through Obstacles - teamRIPPED on Body BEAST! Weekend Update - teamRIPPED on Is the weekend killing your diet? Need a coach and team that is there for you? Join teamRIPPED and let me coach you to infomercial-worthy results. Get RIPPED with the teamRIPPED Nation! The Netflix of world-class workouts – Beachbody On Demand! BOD is the best deal for getting ripped. Amazing programs streamed to any device. Only $13/month! Don’t buy Shakeology because of anything I’m about to tell you in this Shakeology review. Sales pitches are lame! Base it on the facts! Ron made a name for himself in our original teamRIPPED “Misfit Challenge” group. Ron’s transformation is one that simply blows me away. What makes it even better, he is still crushing it!